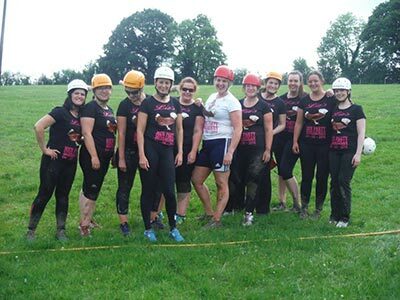 Whether you are looking for adventure and fun, for an educational experience, or if you just want to relax and tune into nature, A.W.O.L Outdoor Adventure offers a wide range of fantastic group activities to suit all your needs. Our activities can be land based and water based. We also offer a range of mobile adventure activities. We also provide a range of skills courses in Outdoor Activities, Bushcraft, BCU/ICU Canoe & Kayak, REC I & II First Aid, GNSA Archery Awards & Orienteering. We also run workshops in traditional crafts, Coracle Boat building, Canoe Paddle Making & Nature Projects. All types of groups are catered for; youth clubs, schools, birthday parties, church groups, families, community groups, stag and hen parties, team building, football teams. You are sure to be spoilt for choice when you Go A.W.O.L. Looking for a different gift for someone who has everything? Why not give them an A.W.O.L. gift voucher. 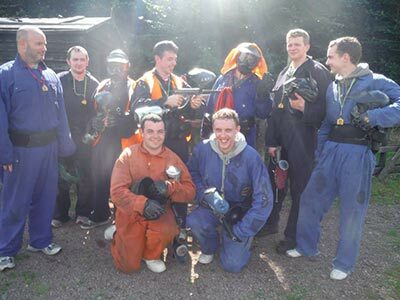 Call now on 00353 (0)47 86224 or email info@awolpaintball.ie. Whatever blend of activities you choose for your day out, it will be one to never to be forgotten when you go AWOL! So why not let us take the bother out of the organising? A.W.O.L. 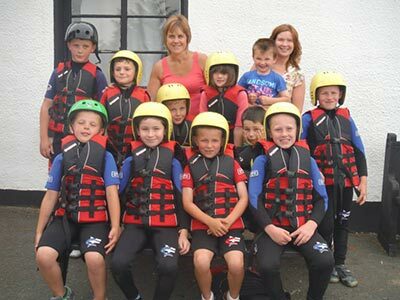 provide a wide range of land based activities to suit all ages and abilities. I would like to reiterate to you how much of a good time we had at AWOL. Not only was the day handled in a professional and organised manner by the AWOL team but great care was taken to ensure that we all had an enjoyable time. The bruises and tired legs were all worth it as we had a blast! Thanks to all at AWOL. Hi Tony I Just wanted to thank you & everyone at AWOL paintball for a great day on saturday. We thoroughly enjoyed ourselves & everyone was very kind & helpful which made it a very memorable birthday for Benny even if you did put him in an orange suit! Thanks once again & we hope to see you again soon.